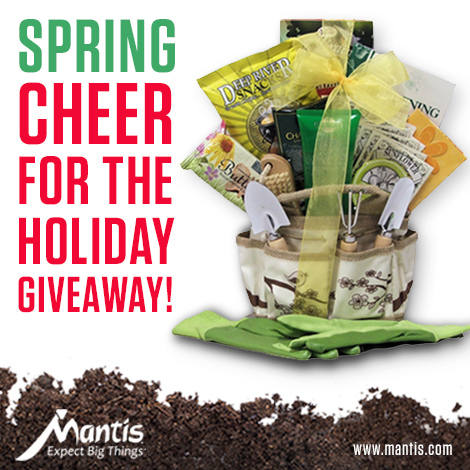 If you have a messy landscape and like giveaways, then I’ve got the perfect opportunity for you. I am hosting a giveaway for a Troy-Bilt CORE leaf blower, which is one of my top tools that I use in the garden. What I like most about it is that it runs via a rechargeable battery – no cords or fuel needed. To show you all that it does, please check out my video, above. For a chance to win, you need to ENTER by 9:00 PST today on Troy-Bilt’s Facebook page where I’m answering questions about growing herbs. Come visit and leave a comment to enter! Disclosure: As a Troy-Bilt ambassador, this review was sponsored and a blower was provided to me at no cost. However, my opinions are always my own. *Disclosure: I was given a free copy of this book in return for my honest review.you have a narrow strip of land between the sidewalk and the curb? Do you have a narrow strip of land between the sidewalk and the curb? Many people do. Have you ever looked at this area as an extension of your garden? Oftentimes people ignore this strip of land that is often planted with a struggling lawn, overgrown tree or nothing at all. What if people could see this often ignored area as an opportunity to increase curb appeal by adding attractive plants. Landscaping this area would also help your property to look larger. 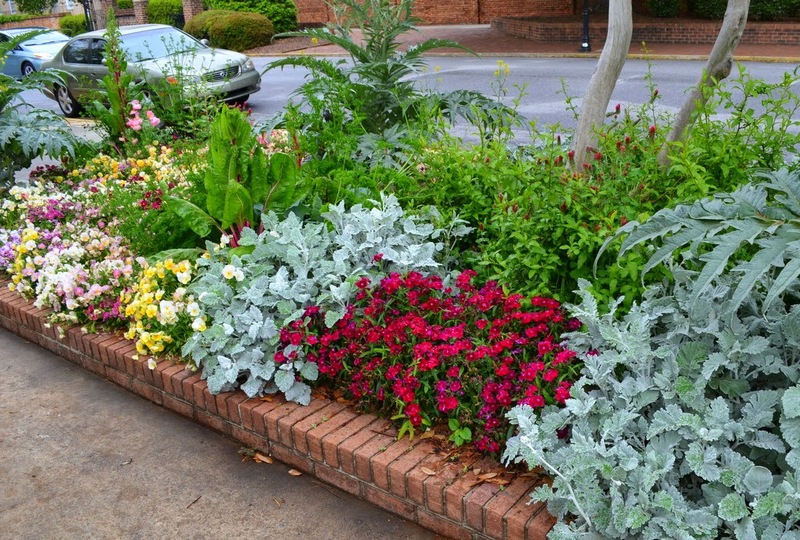 This curbside bed was planted with a combination of edible and ornamental plants, which I think looked just lovely with the contrasting shapes and shades. It was an unexpected sight in an area where there would usually be a patch of grass growing instead. 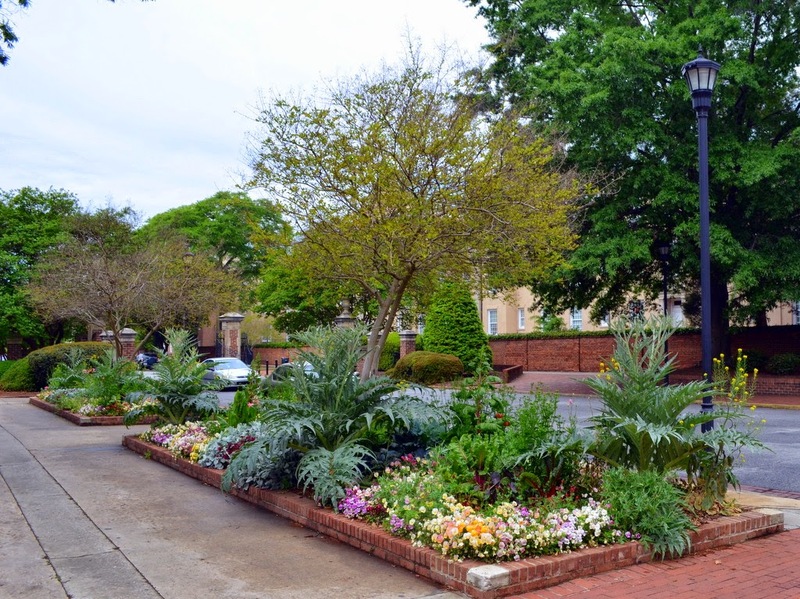 This is just one example of what you could plant in the area between the sidewalk and curb – referred to as a “hellstrip” by Evelyn Hadden, the author of “Hellstrip Gardening”. As a child, I remember the beautiful roses we had growing in our hellstrip in front of our California home. 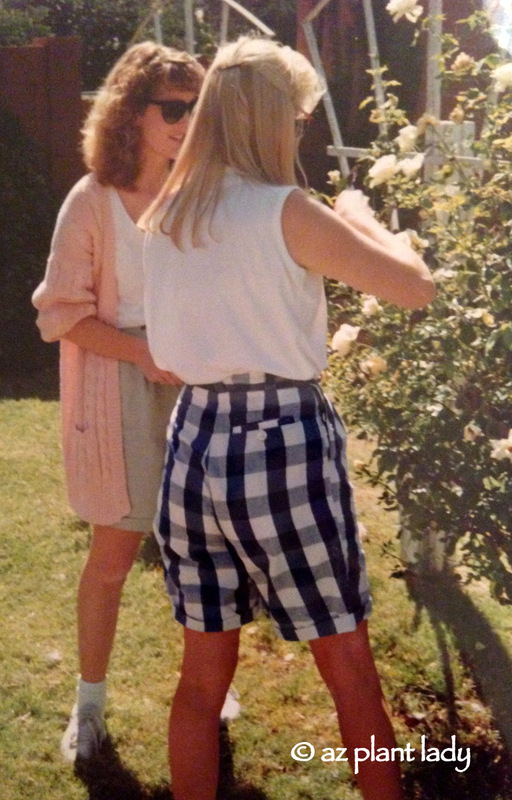 My dad was so proud of his roses and we would often cut off the perfect bloom to give to our teacher. I have been wanting to get my hands of Evelyn’s new book for a while now and was so excited to get the opportunity to review it. The book is filled with beautiful illustrations and great ideas for creating beauty through plants in this strip of land that many of us have. From edible gardens, perennial beds, pollination & hummingbird gardens – the possibilities are endless. Suggestions for ground covers, trees as well as simply stunning creations using only 2 different types of plants make me wish that I had a hellstrip in front of my house. In addition to examples of existing hellstrip gardens, the author also talks about certain challenges to growing plants in this area that is so close to the curb including utilities, easements, HOA’s, de-icing salts and more. 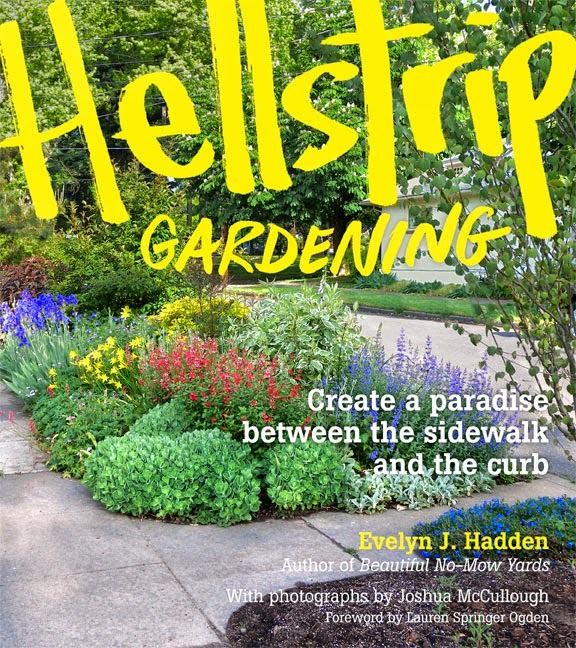 “Hellstrip Gardening” doesn’t restrict itself to the narrow strips of land between the sidewalk and curb, it also inspires the reader with ideas of landscaping similar areas around our homes and businesses. Even if you do not have a hellstrip, you will get a lot out of reading this book. 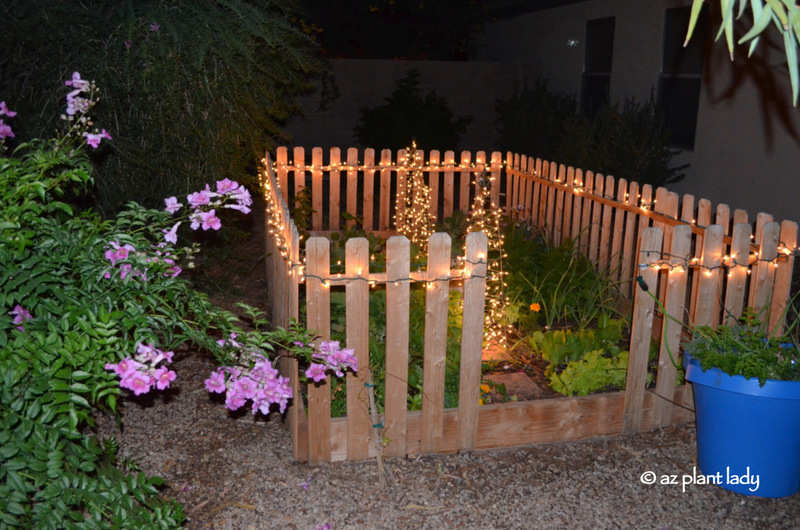 I plan on using some of the ideas when I redesign our back garden this winter. Timber Press, is hosting a Hellstrip Contest where you can win a $250 nursery gift card and a copy of the book. The contest closes July 6th. **It gets even better! 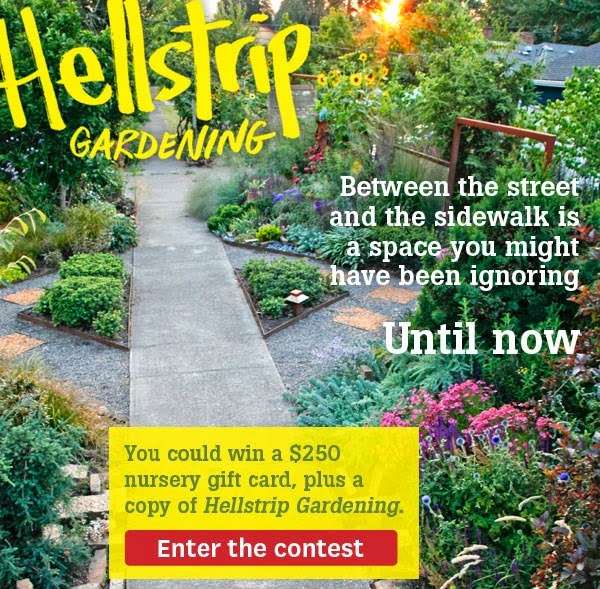 The publishers from Timber Press will give away a copy of “Hellstrip Gardening” to one of my readers. All you need to do is leave a comment – that’s it! I’ll reveal the winner on July 10th. *I was provided a copy of this book free of charge for my honest review. The past few days have been full of celebration in our family. Our daughter has returned home from her Navy training AND we have a new addition to our family. For those of you who have been following along in my adventures, you may remember that my second-oldest daughter, Rachele, joined the Navy last spring. 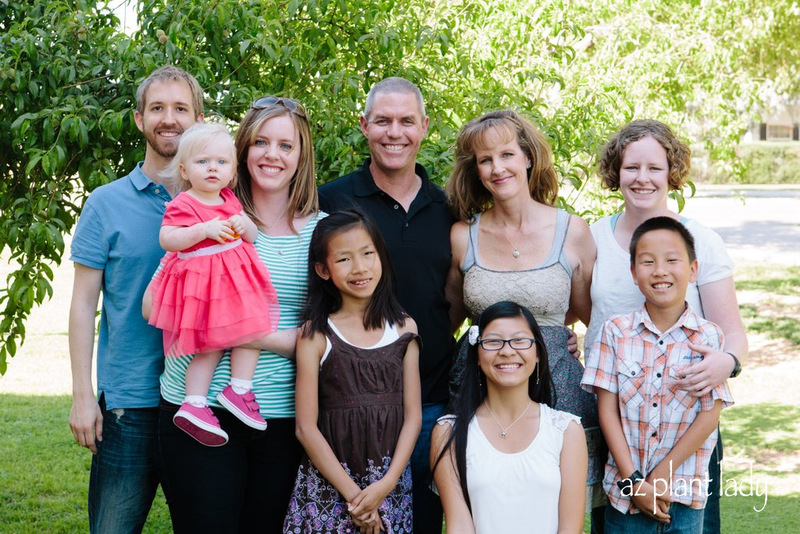 This was our last family photo taken just before she left in March. 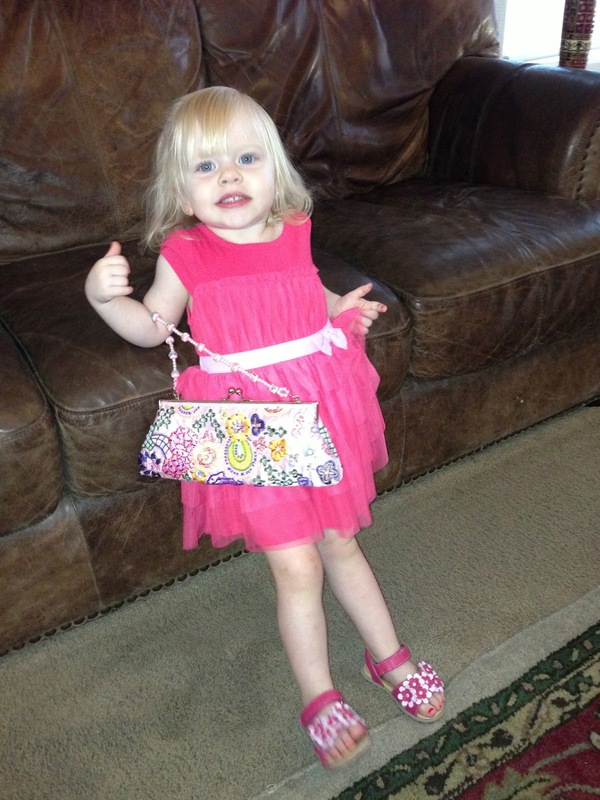 We missed her a lot, but were proud of her decision. My husband and I, along with our oldest daughter traveled to Chicago back in May to see her graduate and I shared our journey with you back then. 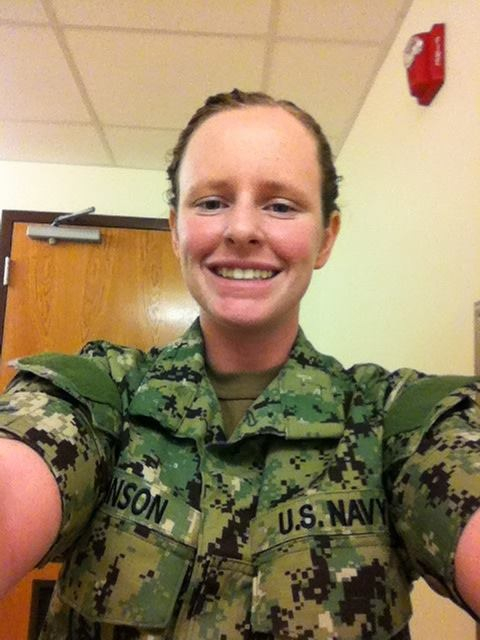 Last week, she graduated and became a “Seabee”. Okay, so what is a “Seabee”, you may be wondering. I know I did when she first told me that was what she would be doing. Basically, a Seabee is a member of the Navy Construction Battalion. They build bases, airstrips and roads – sometimes in hostile territories. Unlike most members of the Navy, they spend little to no time on ships. 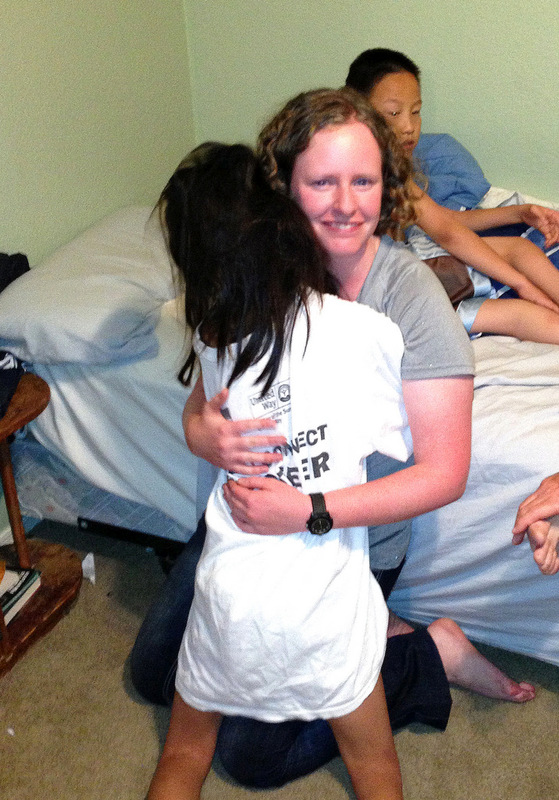 Last week, Rachele graduated and got the honor of wearing her “Seabee Greens”. We were so proud and couldn’t wait for her to come home. She arrived late on Saturday night. We didn’t tell the kids when she was coming. They were surprised when their big sister woke them up. 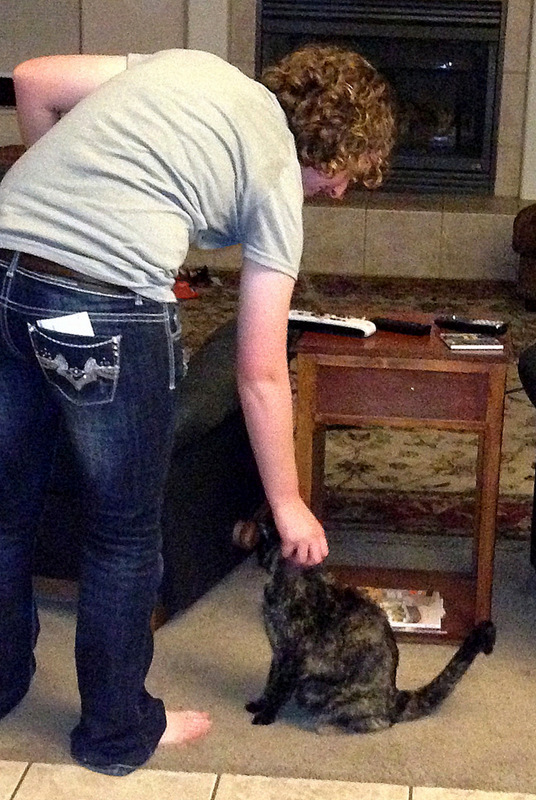 Rachele was happy that her cat remembered her. 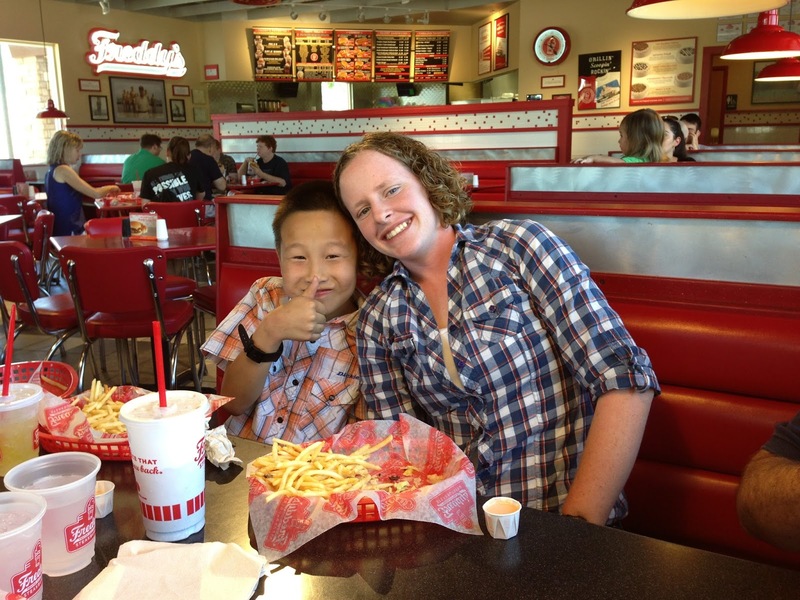 The next day after church, we went to her favorite place for lunch. Lily dressed up for the occasion. I mentioned that we had an addition to our family. Penny is the newest member of our furry family. 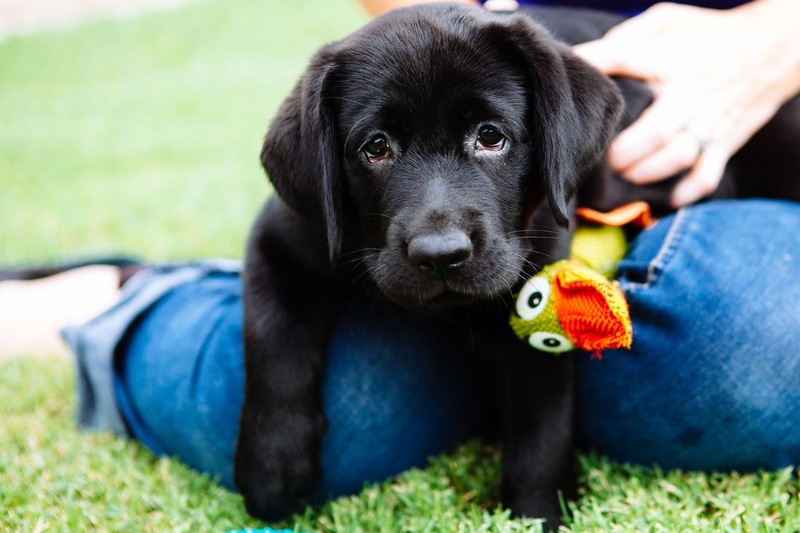 She is an 8-week old English Black Labrador Retriever. 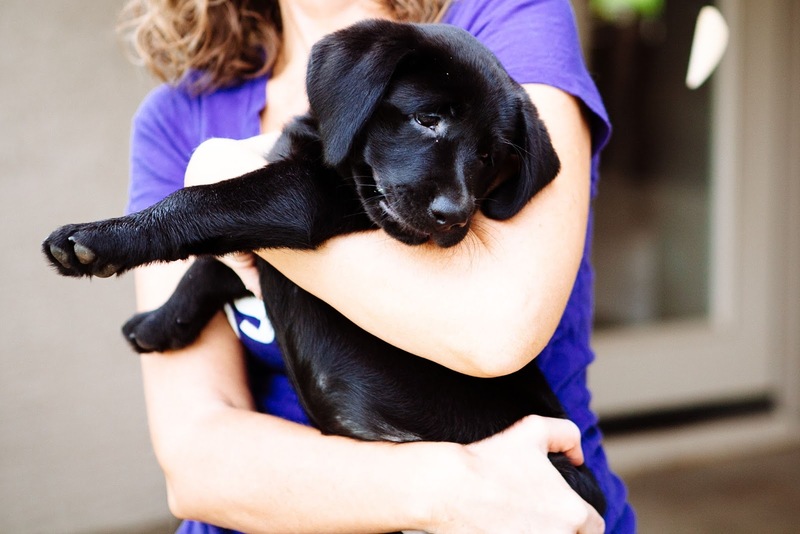 There are two types of labradors – one is from English stock and the other, American. The English types are shorter, stockier and blockier. Both are classified as labrador retriever by the AKC. Needless to say, our days have been filled with frequent trips to the backyard as Penny works on becoming housebroken. And, our kitchen is filled with chew toys.